I am a huge fan of bright colors and bold prints. 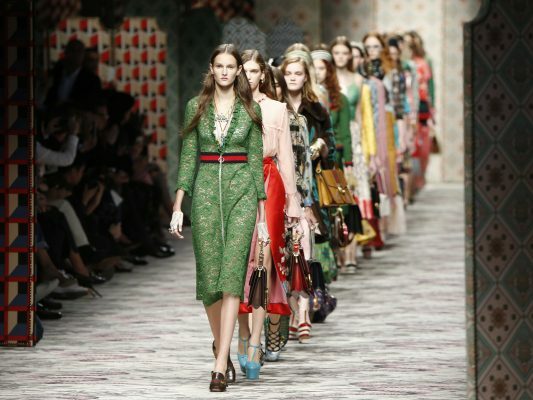 I admire the collections and the work done by the labels Gucci and Dolce & Gabbana. Of all the labels I follow, most of them prefer to stick to the neutral hues and shades. I don’t intend to say that these labels don’t experiment, they very well do. But Gucci and Dolce & Gabbana tend to catch my eyes most of the times. These two labels are bold enough to go ahead with shocking bright colors and swanky prints. Mind you, they just don’t go ahead with random prints that look aesthetically nice. Every print of theirs has an inspiration and an artist associated to it. You can get a lot of information about them, if you have an interaction with their store managers. The design philosophy of these brands are so deep rooted that every employee knows the how and why of it. Well, I know this shouldn’t be any surprise as these labels are so established worldwide but one cannot stop admiring them for it. The feeling that one gets when they look at their collection is like it’s the first day of the spring. Waiting to see more bold and beautiful collections! !